Due to Nicaragua’s favorable tropical climate and biological diversity, it is increasingly becoming a famous destination for international travelers. Expats moving to Nicaragua should expect a tropical climate, with high humidity and high temperature. The thriving tourism sector of Nicaragua, which has experienced positive growth in the recent years, has helped improve the country’s economy. A paper released in 2008 revealed that one in six Nicaraguans had emigrated to two countries, the US and Costa Rica. The Nicaraguan Diaspora is relatively recent. Many fled the country as exiles after former dictator Anastasio Somoza was ousted in 1979. The more recent emigrants, however, are motivated by greener pastures abroad. Nevertheless, Nicaragua welcomes hundreds of expats each year as the economy flourishes into a viable investment destination. The country is a significant investment choice for property buyers as beachfront and colonial real estate are inexpensive. The Nicaraguan government also imposes one of the lowest property tax rates in the region. Consumer prices are 20% to 60% lower than the US, enabling expats to afford luxuries. The major drivers of Nicaragua’s economy are agriculture and tourism. Agriculture, particularly coffee production, constitutes 60% of the total annual output. Tourism in Nicaragua has expanded 70% over the past seven years, growing by 10% to 16% each year. Income from tourism and hospitality has tripled in the past decade and has boosted other industries including agriculture, commerce, finance, and construction. Tech giant IBM has recently named the country as one of its top 25 destinations in 170 countries.Foreign direct investment rose by 79% from 2007 to 2009. A number of multinational companies are operating in Nicaragua including the British American Tobacco, Standard Fruit Company, Kimberly Clark, Telefónica and IBM. Bank of America, Citibank, and Lloyds Bank also maintain the presence in the Latin American nation. Most expats in Nicaragua are retirees from the US, Canada, Taiwan and other European states. There is also a small community of Syrians, Armenians, Palestinians and Lebanese and an East Asian population, mostly composed of Chinese and Japanese nationals. Most expats reside in Granada, San Juan del Sur, and the capital city of Managua. The largest country in Central America has a universal healthcare insurance, which provides coverage to all Nicaraguans and permanent residents. Expats who opt for private health coverage pay a minimal annual premium of USD $460 to USD $500. Basic medical services are available across the country, but treatments for severe health conditions are only offered in Managua. Some of the recommended medical facilities for expats include the Hospital Alemán-Nicaragüense, Hospital Bautista, Hospital Metropolitano Vivian Pellas and American Medical Center SA. Hospital Bautista is considered as the best hospital in Managua for its modern healthcare facilities and English-speaking staff. German expats opt for Hospital Alemán-Nicaragüense, which employs German-speaking healthcare providers. Nicaragua is the largest country in Central America whose name is derived from the chief of the leading Indian tribe during the Spanish Conquest. Over the years, more and more expats are finding their ways to this nation surrounded by vast forests and crystal-clear beaches. Aside from its geographical beauty, Nicaragua also promises career opportunities because of its solid and growing economy. So for expats like you who want to achieve their dreams while living in a place that’s still not over populated, Nicaragua is where you should be. Read on the next few guidelines that will kick-start your new journey! It is not difficult to find a place in Nicaragua because the rental market has a lot to offer. There are advertisements online, in newspapers and signs outside the properties that say se alquila. But if you do not speak Spanish, it is best that you hire a local English-speaking realtor. They have a wider range of housing options and can help you negotiate with the landlords. Most apartments do not include the utilities like water, gas, electricity in your monthly rent. In Nicaragua’s main cities, the average cost of your essentials is €120. Your internet connection with a minimum speed of 10mbps is €55 per month, and a local prepaid mobile call is charged €0.44 per minute. As an expat, you always have the flexibility of choosing between a short term and long term rental agreement. So if you are only going to stay in Nicaragua for a few years, it's more reasonable to rent than to purchase a property. There are many apartments in the country, but most expats are living in the main cities like Managua, the capital of Nicaragua. The average cost of a one-bedroom apartment in the metropolitan is €200 per month. You can also find a more spacious three bedroom unit for roughly €500 monthly. If you ask around some locals, they will advise that you find a rental outside the city centre where a one bedroom apartment is only around €100 per month and €350 for a three bedroom unit. Many expats in Nicaragua choose to enrol their children in international schools like the Lincoln International Academy where they use English as the primary language in teaching. There are also local universities that are governed by the state’s Ministry of Education like the Universidad Central de Nicaragua, which is considered to be a prestigious local school in the country. Once you’ve gone through your belongings and sorted out which ones to bring, the next step for you is to call a shipping and removal company. These companies provide a door to door service where they will facilitate the whole moving process until your packages are delivered to your new home. You can click here to check the country’s import regulations. The average transit time by sea to Nicaragua is 10-16 days. There are six seaports, but the largest and where a majority of containers arrive is in Port Managua. It has a central location which makes a faster distribution and delivery of cargos. If you are bringing your pet to Nicaragua, make sure that it has a rabies vaccination at least 30 days and not exceeding than 12 months before import. You also have to get a Veterinary Certificate to Nicaragua from a licensed veterinarian 14 days before the pet’s travel. The certificate should clearly state that the animal is free from parasites like tick and fleas. Nicaragua is not just diversified by its landscapes but also by people of different nationalities. You will find your way towards success as this nation continuously rise as one of the world’s top expat destinations. Smacked in the middle of Honduras and Costa Rica is Nicaragua, a country known for its beautiful beaches, volcanic landscapes, colonial architecture and rich cultural heritage. It has a total land area of more than 130,300 square kilometres, making Nicaragua the largest nation in Central America. Expats bound to Nicaragua are about to experience a relaxed lifestyle while being surrounded by unique ecosystems and acres of untouched land reserved for the preservation of wildlife. Though it has always been known as a prime tourist spot, this country also made its name as a favourite destination for expats who want to achieve prosperous careers and at the same time enjoy an outstanding quality of life. Nicaragua prides itself for having low crime rates, excellent medical facilities and affordable quality of life. Another major selling point of this country is its warm, tropical climate whereas the months of January to June accounts for the dryness visible in the plants and trees, but the remaining months of the year compensate with a rainy season that is tolerable and beneficial for the environment. One of the ways for expats to fully appreciate their new host destination is to understand its history. Those who want to be taken back in time can start their thrilling adventure in the town of Granada, the oldest city in Central America. 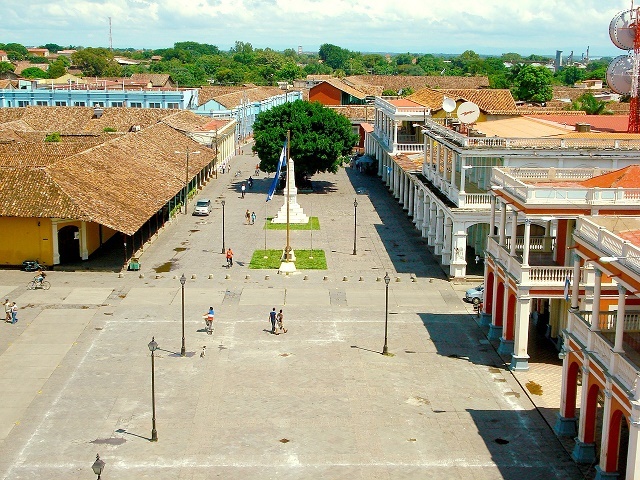 Granada offers everyone a glimpse of Nicaragua’s history just by its display of red-tiled roofs and quaint, vibrantly painted traditional buildings. 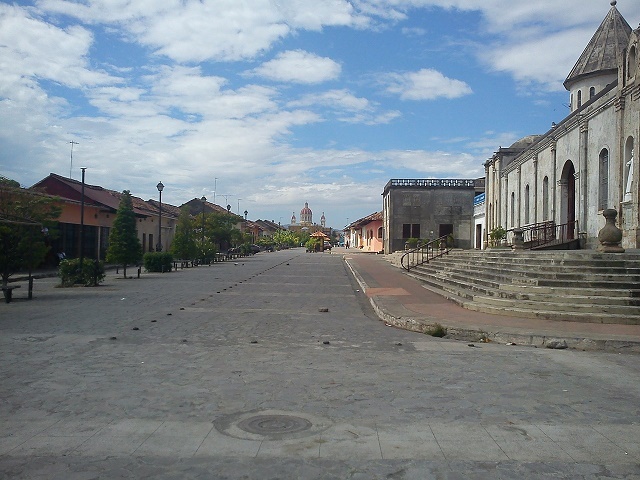 Other main attractions in this town are Guadalupe Church, La Catédral de Granada and the Iglesia San Francisco which is the oldest church in Central America. Another perfect place for history buffs is the town of León which is ideally situated at the foot of the Momotombo Volcano. Aside from being the best starting point for exploring other nearby volcanoes, the colonial city of León also boasts a family-friendly community, jaw-dropping landscapes, cobblestone streets as well as churches, museums and murals depicting the historical Nicaraguan Revolution. León is also the home of two UNESCO World Heritage Sites: the Cathedral of León which is the largest cathedral in Central America and the León Viejo, one of the oldest and first colonial settlements in the Americas. Nature lovers will say that Nicaragua is a hidden paradise yearning to be explored. Located about 15 miles from the western shores of Lago is Ometepe Island, the biggest freshwater lake in Central America. This scenic island offers a range of thrilling outdoor activities such as paragliding, fishing, kayaking and cycling. 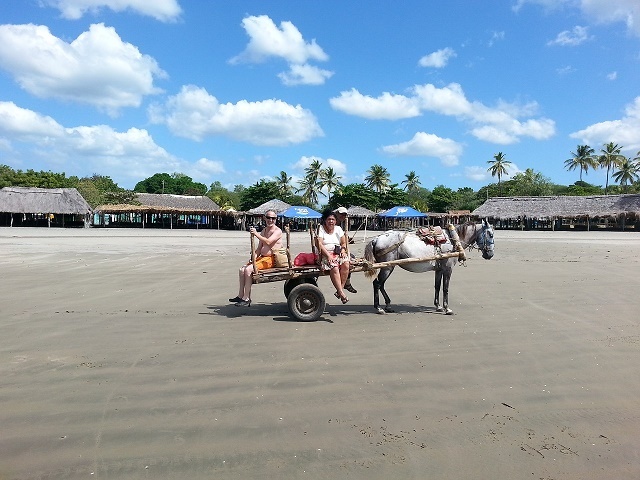 Expats whether single or with kids will undoubtedly enjoy the peaceful, agrarian vibe that radiates from Ometepe Island. During the weekends, you can hike, by foot or on horseback, the majestic Maderas Volcano and swim at a rushing waterfall while enjoying the view of the lagoon nestled on top of the crater. San Juan del Sur is the excellent place for expat families who want to beat the heat of this tropical country. Famous among backpackers and surfers, this crescent-shaped bay allows you to unwind with the kids while enjoying the presence of the locals. You can also climb the Christ of the Mercy which is one of the highest statues of Jesus in the world. Another ideal family get-away destination is the Corn Islands which can be found off the coast of Nicaragua’s Caribbean. Composed of the Little Corn and the Big Corn, was a pirates’ refuge turned into a tropical hot-spot where expats can enjoy waters sports such as snorkelling and scuba diving. Almost every region in Nicaragua has different cultures because of the different influences mainly from the Spanish and the British. The western part of the country was colonised by Spain which means that residents of these regions mostly speak Spanish and practice Catholicism. The Eastern half of Nicaragua, on the other hand, was once a protectorate of the British and people living in these regions use English as their mother tongue and favour the Protestant religion over Catholicism. Though known to be warm and friendly, the Nicaraguans also deeply value respect and personal distance. They can also be hospitable, but expats here should know that the locals never enter someone’s house or office without proper invitation even if the host/hostess is their friend. When dining out, it is fine not to tip in posh restaurants particularly those in León and Granada because your bill is already inclusive of a ten to 15% service charge. Tipping is not a common practice among Nicaraguans and even taxi drivers don't expect you to hand them anything extra.